Summer may be coming to an end and although outdoor concerts may be wrapping up, we are so excited for all of the fun, fall concerts ahead. 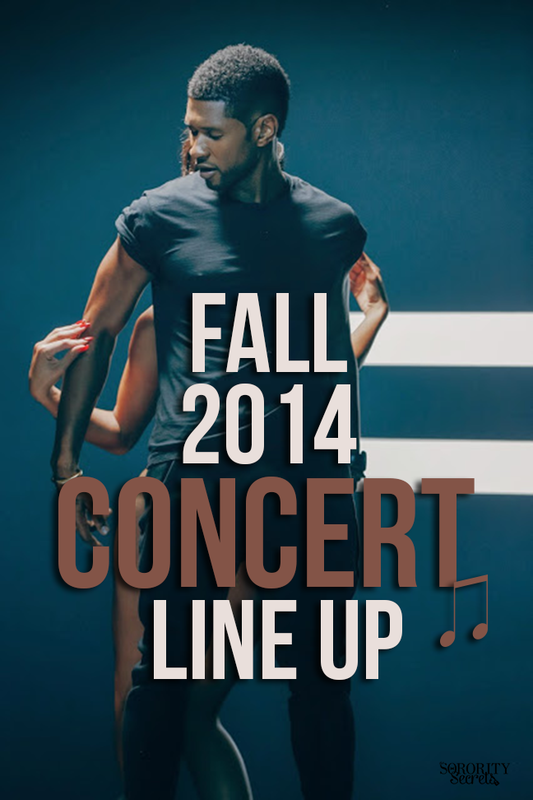 We put together a list of the concerts you won't want to miss this fall. Most of these concerts are having tickets sold through Ticketmaster, but if you don't have luck there, be sure to check out StubHub or Craigslist--there are always people willing to sell their tickets. Also, if you never want to miss a concert announcement, then sign up with Concert Fix! They compile concerts both present and future to keep you in the know.